Ashley Petry is a local freelance editor and author specializing in Midwest food, drink, travel, and the arts. 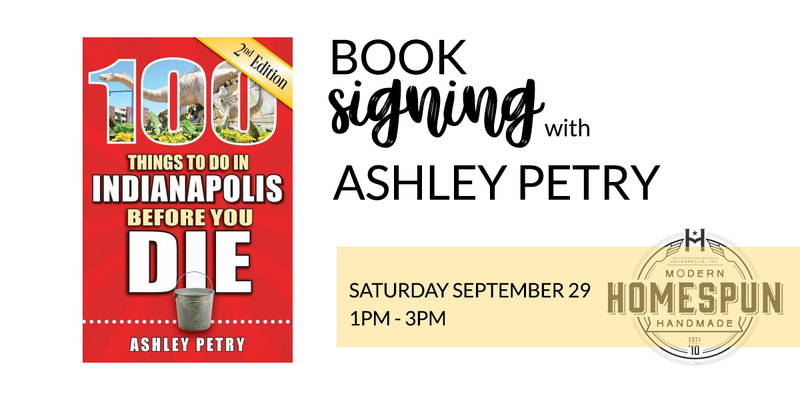 She is releasing the 2nd edition of her popular Indianapolis guidebook, 100 Things to Do in Indianapolis Before You Die, and we invite you to join us for an afternoon meet and greet and book signing in store from 1pm – 3pm! An acclaimed writer, Ashley has appeared in a bevy of publications such as, Condé Nast Traveler, USA Today, Midwest Living, and more! We hope you’ll join us for this special in store event where you can purchase a copy of Ashley’s book and get her signature!